The area where Center Point now sits was once occupied by Native Americans back in the 1700s. In 1816, settlers began to arrive from North Carolina and used the area for agricultural purposes, growing the settlement into a small village which housed a school, grocery store, blacksmith shop and a post office. Over the next century and a half, the settlement grew steadily into a town, and in 2002, citizens voted to make Center Point a city. Located 20 miles northeast of Birmingham, Alabama, the city is a prime location from which to explore parks, nature preserves and museums. Outdoor enthusiasts will be in their element with plenty of hiking and cycling trails scattered around the city. 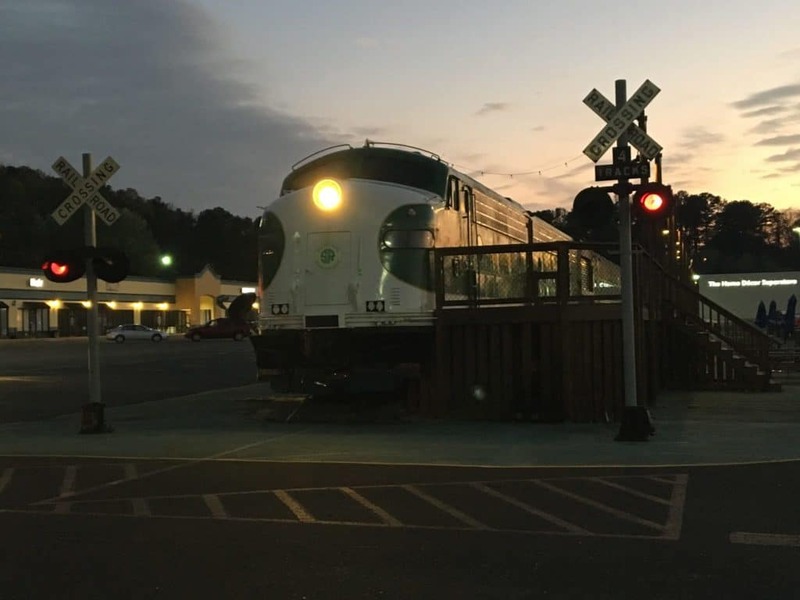 There’s much to see and do in the local area, so if you are touring Alabama, or spending a few days in Birmingham, don’t forget to take a trip out to Center Point. Lovers of the great outdoors will adore spending time at Turkey Creek Nature Preserve just north of Center Point. The preserve’s 466-acres are filled with gushing waterfalls, hiking trails and contain 7 endangered wildlife and marine species. 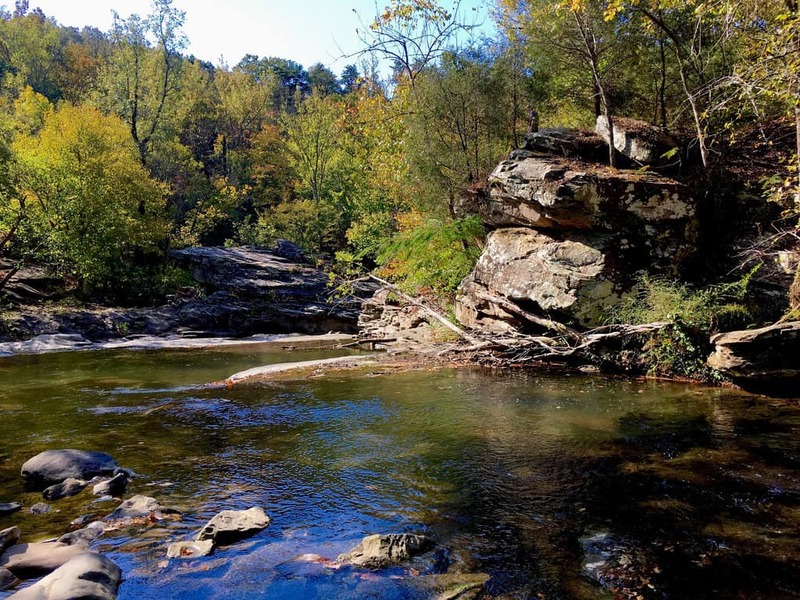 You can swim in the blue hole or even float along the river on a tube, alternatively, if you wish to remain on dry land, mountain biking, hiking trails and picnic areas are available. Bring your walking shoes, swimming gear and a camera, and enjoy a fun, family day out immersed in nature. The city of Pinson celebrated its 200th anniversary with a brand-new park. Located a few miles north of Center Point, the picturesque recreational area sits on 20-acres and features a playground, walking trails, disk golf and an amphitheatre. For sizzling hot summer days, there’s a Splash Pad for the kids with several super soakers and fountains. In the evenings, the pretty tiered amphitheatre is floodlit, showcasing live concerts and performances. Hawk’s View Overlook is located on the edge of Ruffner Mountain Nature Preserve. 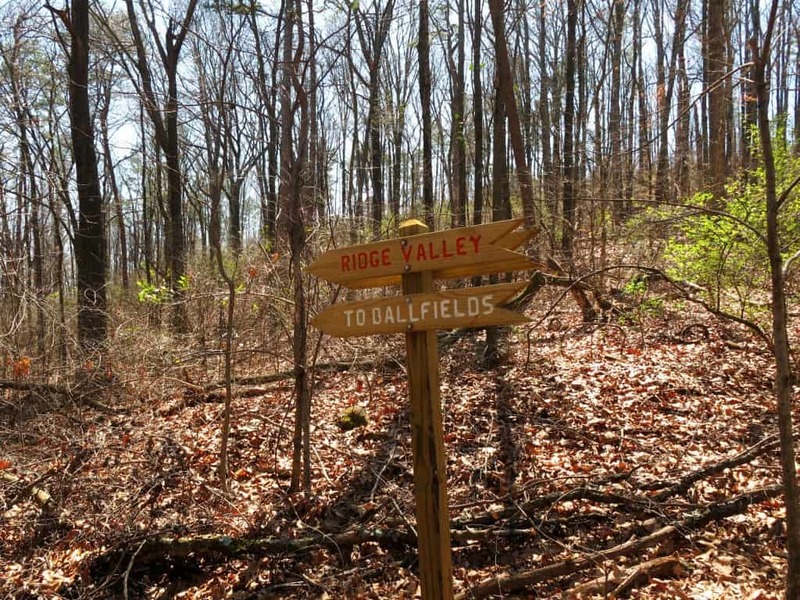 If you’re seeking exceptional hiking or running trails, this is the place to be. The trail leaves from the visitor centre following the mountain pathway scattered with hidden caves and abandoned quarries to the lookout point. The best times to visit are early morning or late afternoon when you can view incredible sunrises and sunsets from Hawk’s View Overlook. 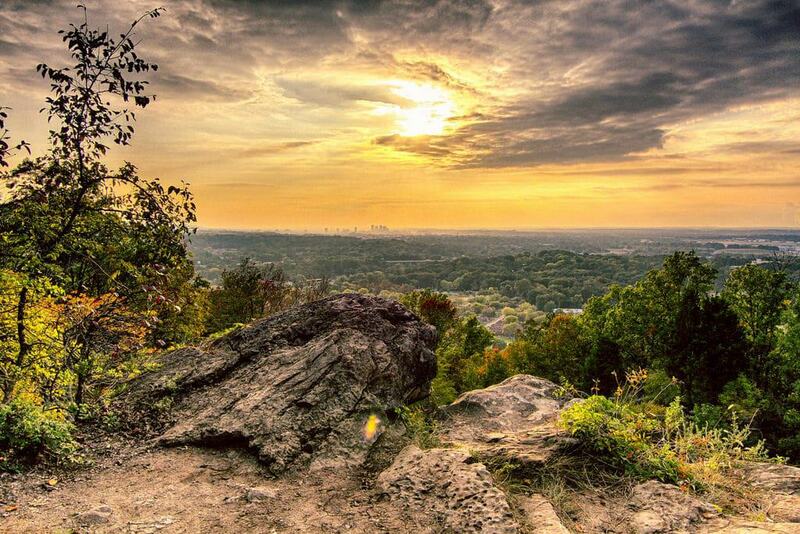 While you’re climbing to Hawk’s View Overlook, take time to explore Ruffner Mountain. The area offers 14 miles of trails which you can hike and discover flora and fauna. In the late 19th century right through to the 1950s, the mountain was a main source of iron ore, producing over 200 tons a day. The ore was taken from Ruffner Mountain to Sloss Furnaces in Birmingham’s industrial district for smelting. Today, caves where the iron ore was mined still exist but are no longer open to the public, however, there are several walks, picnic areas and a nature centre which houses a variety of native species. 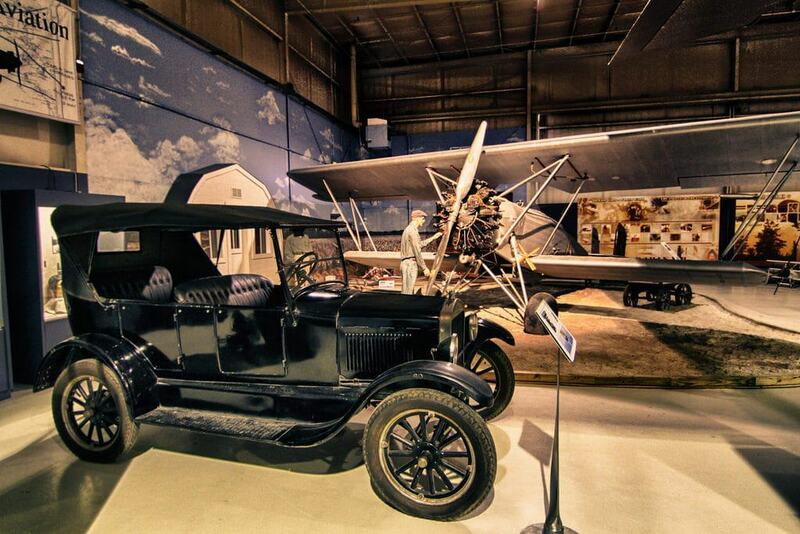 Southern Museum of Flight allows aviation enthusiasts to explore all things aircraft related in an interactive indoor and outdoor museum. Whether you wish to experience take-off and landing in a flight simulator, discover military helicopters and planes in the outdoor parks, or seek out realistic dioramas relating to World War II and the Vietnam War, you can do it all at this fun, educational museum. If you enjoy Escape Rooms, Train Escape takes the suspense to the next level. Alongside your team, you are locked inside an old railway carriage and challenged to solve hidden clues and puzzles to aid your escape. There are several rooms to choose from, ‘Sabotage’ takes you deep behind enemy lines to prevent a missile strike, ‘Derailed’ sees you arrested and placed in a mobile holding facility, and ‘Classified’ has you trying to stop the train before nuclear weapons enter into the wrong hands! If this wasn’t thrilling enough, you have just 60 minutes to escape from the train! So, if you fancy a fun, adrenaline-packed hour with friends, this is definitely the place to be. 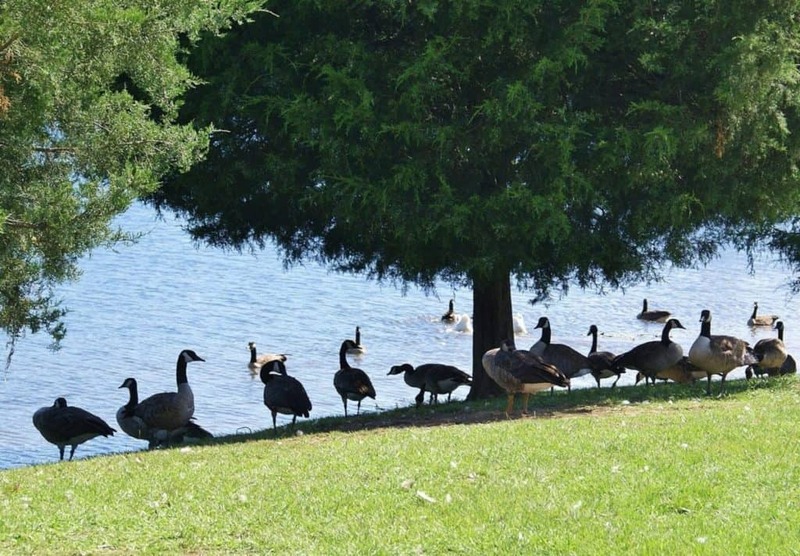 Cosby Lake Park is a tranquil location, perfect for hiking, fishing or a picnic. The park affords beautiful views, with a lake surrounded by forest and woodlands. You can spend time walking the pathways, taking pictures and visiting the mini-wetlands which attract bird-life and beavers. The lake attracts anglers from all over, eager to catch catfish, brim and bass. At just 5 miles northeast of Center Point, it’s a superb place to spend an afternoon with friends and family. 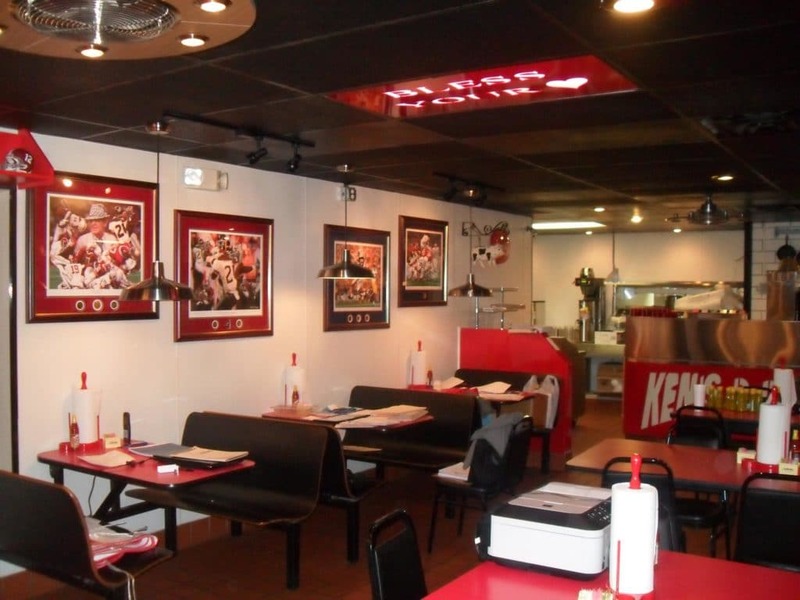 Experience good ole’ fashioned Southern barbecue at Ken’s Hickory Pit in nearby Pinson. Set in an understated diner, all their meats are hickory smoked with delicious dipping sauce on the side. Whether you wish to try the pork, ribs, chicken or smoked sausage, this laid-back diner is a great place for family and friends. Portions are big, and prices are reasonable, so bring your appetite, and don’t forget to try the sweet potato pie for dessert. Motorsports fans should make this their first port of call when staying in Center Point. The Barber Vintage Motorsports Museum is home to over 1600 motorcycles and a huge display of Lotus sportscars. 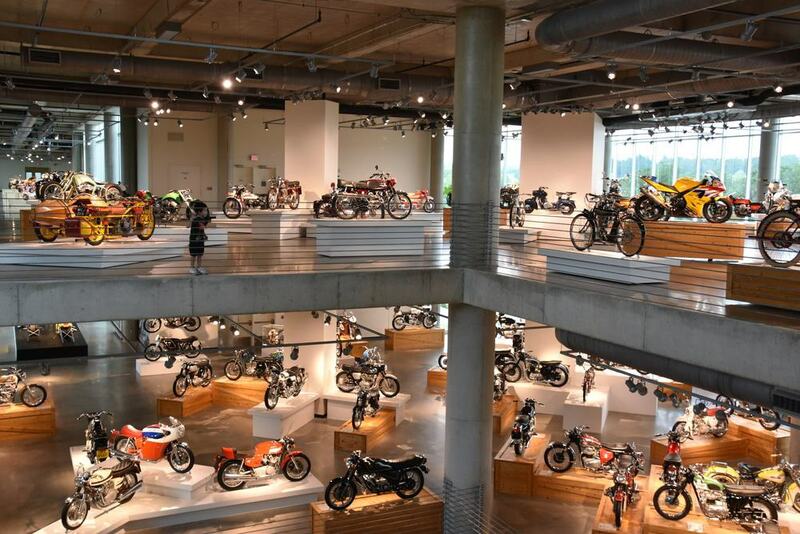 In fact, the museum has been recognized as having the world’s largest motorcycle collection by Guinness World Records. As well as motorcycles on display within the museum, action also takes place outside on the track. Throughout the year Barber Motorsports Park hosts the Honda Indy Grand Prix of Alabama and a Vintage Festival for those who favour the classics. 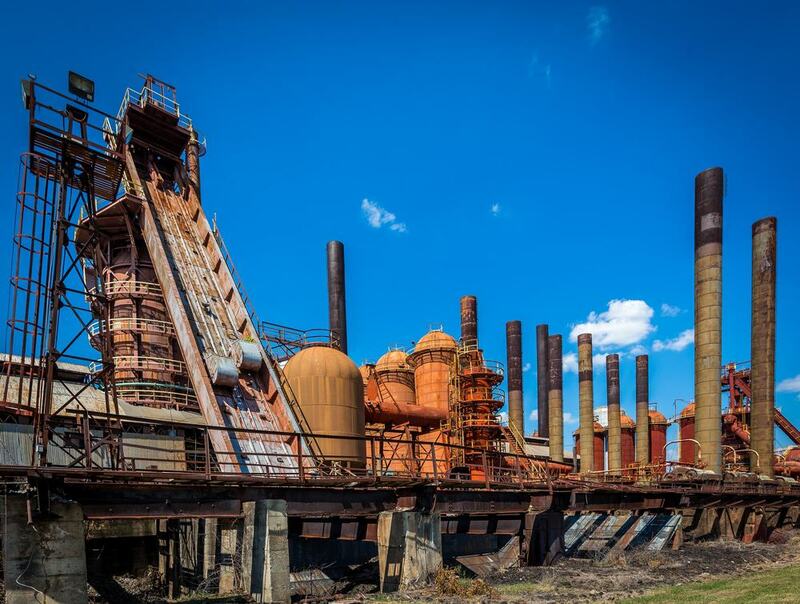 At one time, Sloss Furnaces were the busiest pig iron producing blast furnaces in the world, and today it still stands in Birmingham as it did in the late 19th century. This unique historical site with its tall stoves and intricate pipe networks serves as an interpretive museum to tell the story of Birmingham’s industrial past. You can take a self-guided tour, enjoy food festivals, haunted evenings and even live concerts within this iconic national historic landmark. If you are visiting Alabama, it’s highly likely at some point you will come across a museum or monument relating to the Civil Rights Movement. 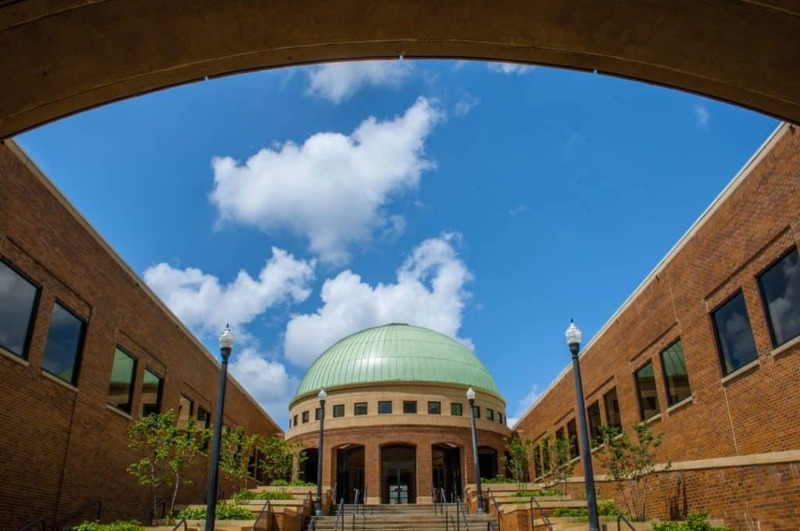 The Birmingham Civil Rights Institute showcases exhibits which reveal what life was like for all races in Alabama from the late 1800s right through to the present day. It details the hardships African-Americans had to endure and tells stories of struggles which rocked the city. One highlight is the Processional Gallery, ‘Walk to Freedom’ where life-size figures from all races and ages try to raise awareness and advocate for equal rights for all. 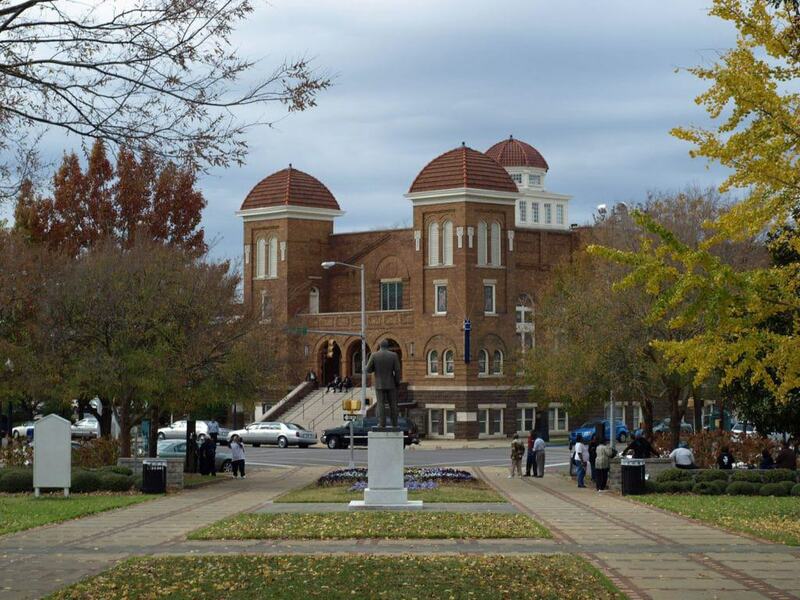 Kelly Ingram Park is located in the heart of Birmingham’s Civil Rights District. During the 1960s, it hosted several demonstrations pertaining to the Civil Rights Movement, and in May 1963, one of the largest gatherings took place in the park. During these demonstrations, Birmingham firemen and police used hoses and police dogs in an attempt to silence protestors. As images of the altercations were broadcast around the world, there was a public outcry, which became the beginning of the end of public segregation. The picturesque park is filled with monuments, sculptures and walking trails, with information on the life-changing events which took place in 1963. This minor league baseball park in Birmingham is the perfect place to enjoy a sporting event while you’re in the city. 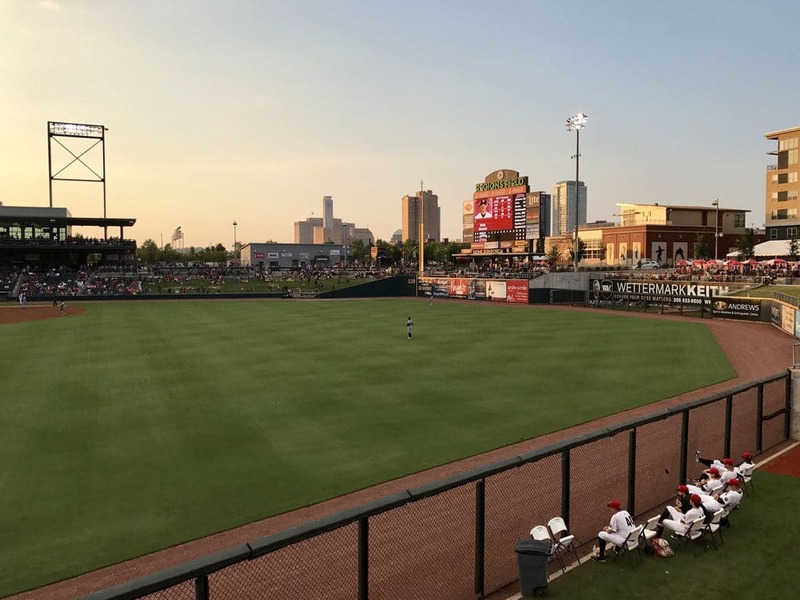 The Birmingham Barons played their first game in the revamped facility in 2013, and with a whole host of family-friendly entertainment on offer, you can now enjoy family fun parks, NAPA batting cages and a mini wiffle ball field. If you want to take in a sports game during your stay, it’s a great way to get to know people – as long as you’re cheering on the local team! When you’re accepted as genuine and honest in the southern states, you are often referred to as ‘Good People’. This tap room is named after the same sentiment, offering a laid-back environment where visitors and locals can get together to enjoy a variety of craft beers and pale ales. Whether you want to try the Bearded Lady, the Urban Farmer or a seasonal Denim Downhiller Winter Ale, there’s plenty to choose from. The brew company doesn’t serve food, but they don’t mind you bringing in your own snacks and take-out from nearby restaurants. 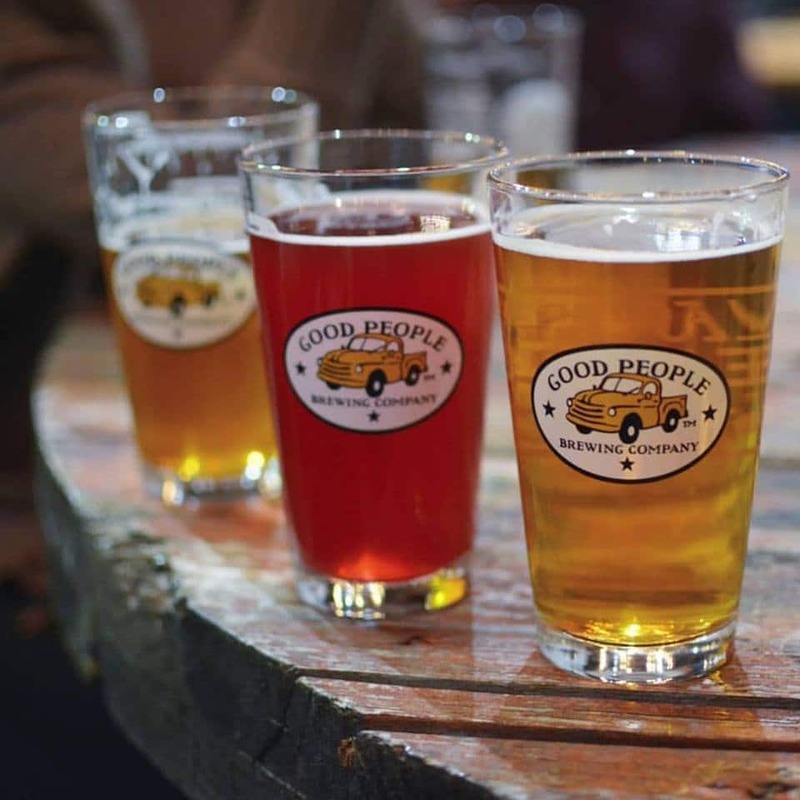 If you are looking for a good night out and want to taste a selection of craft brews, head for Good People Brewing Company. 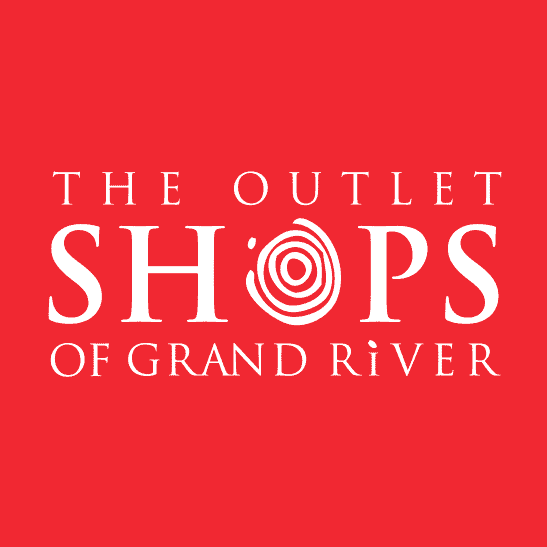 If you’re looking for designer clothing and accessories at low costs, then look no further than The Outlet Shops of Grand River. With designer outlet stores from Coach, Guess, Polo Ralph Lauren, Tommy Hilfiger and more, you are bound to walk out with several shopping bags! There are areas for fast food and drink where you can take a break from spending, and a family fun centre so the kids don’t get bored!